Engage billions of mobile consumers through mobile messaging apps. Build an audience that performs 10x better than email. With Snaps, marketers can efficiently acquire new customers with advertising tools, or convert their existing audience with innovative opt-in tools. Both paths can lead to high performance, with 80%+ message open rates. Conversational AI makes filling out forms a thing of the past. With Snaps’ technology, create an easy flow to get information, verify the data and re-engage to drive completions. 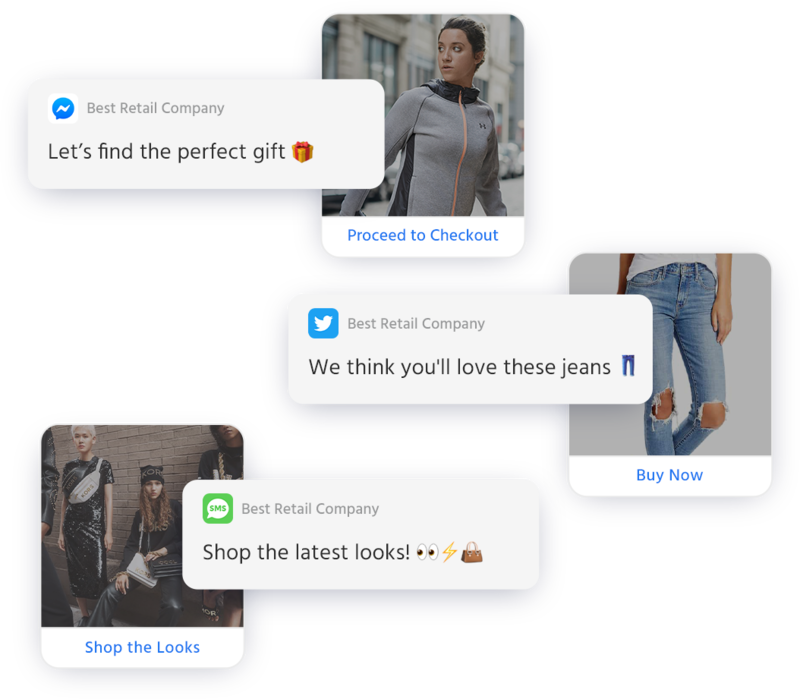 Help your customers find the perfect product by guiding them through a personalized product recommendation flow. Consumers who engage in guided sales assistance are more likely to convert than unassisted visitors. See How Nike’s Jordan Boosted Message Open Rates to 87%. Leverage mobile messaging to deliver the content consumers want, in the channels they prefer. 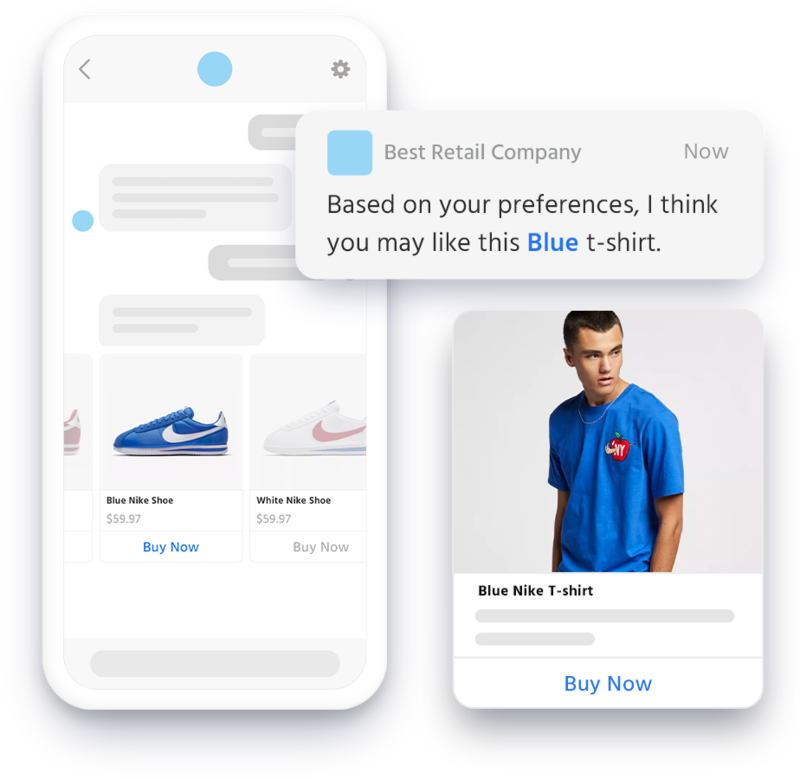 Personalized content delivered over mobile messaging apps is 8-10x more effective than traditional channels like email. Snaps helped us execute on our vision in messaging, and according to the data, fans clearly love this new channel. We’re seeing 80% message open rates and 17% conversion rates.